All lectures begin at 7 p.m., to finish by 8.30 p.m. and are held in Room 2/07, Park Building, University of Portsmouth, King Henry 1 Street, Portsmouth PO1 2DZ. 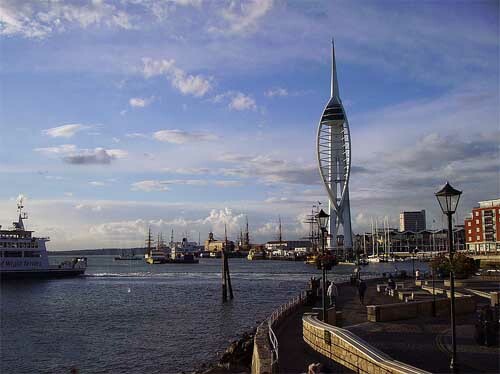 Details of parking, etc., can be found on the Portsmouth Branch website or for further information, please contact the Portsmouth Branch Secretary, phil_aspey@hotmail.com. Local members: £5 (October to May). Visitors: £1 per talk. Students free. Almost uniquely, the monarch seems to have planned his career several stages ahead. This lecture presents evidence for this aspect of Richard both as duke and king and in the process casts new light on the man himself. Located on the threshold of city and country, pleasure gardens were leisure resorts that allowed a surprisingly wide range of people to escape the city in the summer months. Whether you were a visitor to town, a musician or composer trying to establish yourself or a writer plotting your next novel, a visit to Vauxhall Gardens in South London was almost obligatory. This lecture focuses on the pilots that helped change Britain’s approach to aerial warfare by embracing newer technologies and utilizing more combative tactics. 20,000 feet above the Western Front will explore both the men who helped lead Britain’s aerial advantage as well as the innovation that made it possible. The secular authorities of the Commonwealth period are notorious for their particularly harsh line against sexual misdemeanour. This lecture shows how their attention to the behaviour of scandalous clergy and adulterous parishioners developed out of long-standing concerns both of the church courts and of puritan polemic. Tony Badger explores the extraordinary international popularity of Gone with the Wind both as a book and a film and examines the historical accuracy of the book. He examines the white racial attitudes and the account of post-civil war reconstruction in the light of the historiographical orthodoxies of the 1930s the development of Margaret Mitchell from hard-bitten journalist to conservative celebrity. This talk is based on research into the records of the Portsmouth Military Service Tribunal during WW1. Although the records were ordered to be destroyed on the cessation of hostilities, they survived an dprovide insights into local society and conditions in the later years of the Great War. James Thomas’s research centres on William Bayly, farmer’s son, astronomer to Captain Cook and Headmaster of Portsmouth Naval Academy, 1785-1806. *This project is funded by the Heritage Lottery Fund.